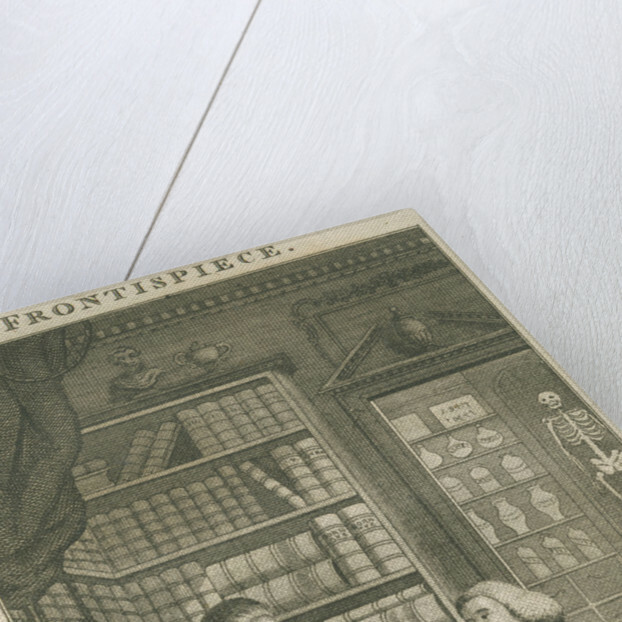 Frontispiece to The complete English physician; or, an universal library of family medicines..., by George Alexander Gordon (New edition, London, 1785). 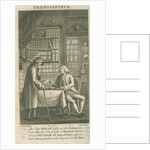 Showing a seated physician who is consulting a book and handing a piece of paper, perhaps a prescription or a medical bill, to a standing patient. 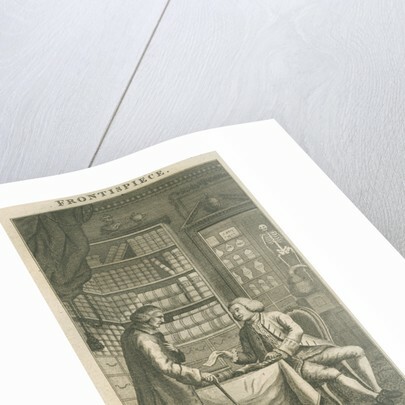 In the background is a bookcase holding generally unidentified volumes, but including two volumes by Herman Boerhaave (1668-1738). A skeleton, chemical retort and apothocaries' jars also form background material. 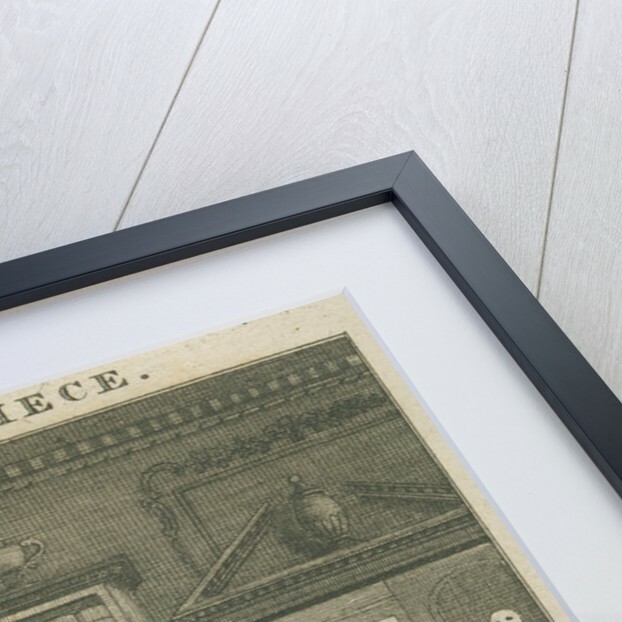 Printed lower left "Samuel delin." and lower right "Lodge sculp." 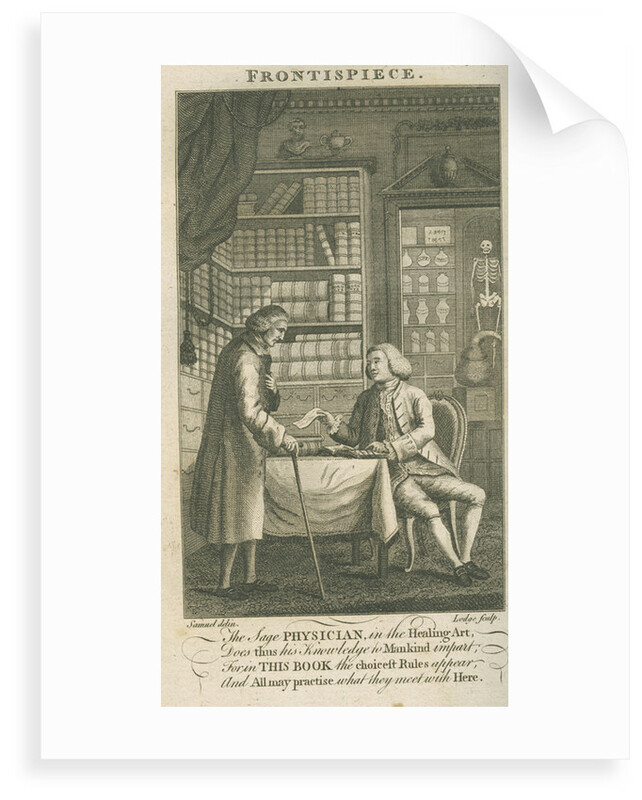 A rhyme appears below the main image: The Sage PHYSICIAN, in the Healing Art, Does thus his Knowledge to Mankind impart, For in THIS BOOK the choicest Rules appear, And all may practise what they meet with here The plate is slightly angled in the original volume. More by the artist John Lodge.